Variety is reporting “Blockers”, John Cena is in talks to star in Universal Pictures’ “The Janson Directive,” with Dwayne Johnson and Dany Garcia executive producing through their Seven Bucks Productions. The novel follows a former consular ops agent who, after leaving covert operations due to the high number of sanctioned serial killings, goes into business as private security consultant. Teamed with a sharpshooter, Janson only takes assignments that he believes will lead to helping those in need. 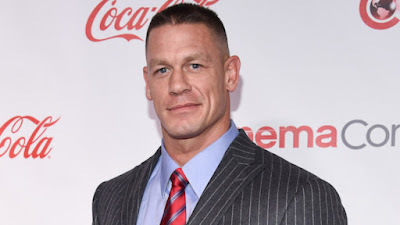 Johnson announced the casting on his social media outlets, praising his long friendship with Cena that goes back to their classic WrestleMania match. The action-thriller was originally being developed with Johnson attached to star, but sources say given his busy schedule, Johnson and the studio decided it was best move along with Johnson as a producer. Like Johnson, Cena began his career as a WWE Superstar before bringing his talents to Hollywood. Universal is also high on Cena after successful runs in his recent comedies “Blockers,” “Sisters,” and “Train Wreck.” The studio had been looking for a possible Cena-starring franchise that would play to his strengths as a physical presence. Vanderbilt will adapt “The Janson Directive” from a story co-authored with Goldsman. Ludlum is also the author of the “Jason Bourne” book series.